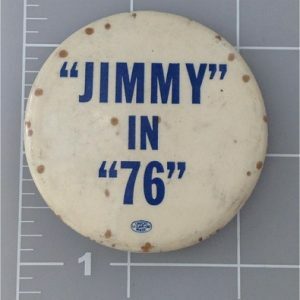 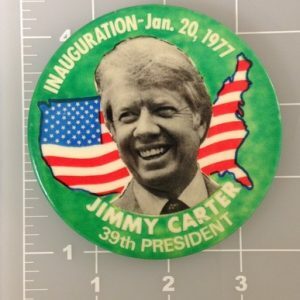 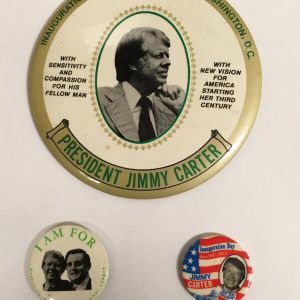 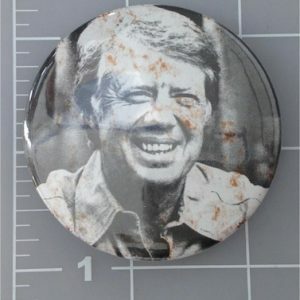 Jimmy Carter campaign buttons are very collectible and relate directly to President Jimmy Carter and the Carter Presidency from January 20, 1977 through January 20, 1981. 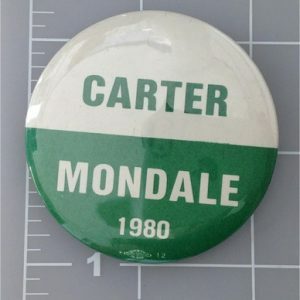 During this time, Walter Mondale served as the Vice President and Carter was born on October 1, 1924 in Plains, Georgia. 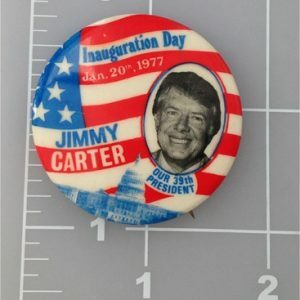 Throughout Jimmy Carters administration, he battled inflation and unemployment. 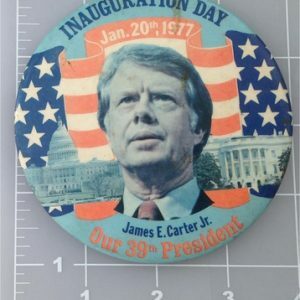 Even though the efforts to reduce inflation caused a mini recession, Carters administration created almost 8 million jobs, decreased the deficit in terms of GNP. 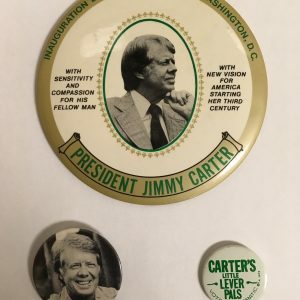 In terms of Carters achievements, he created the Department of Education and appointed record numbers of minorities to government jobs. 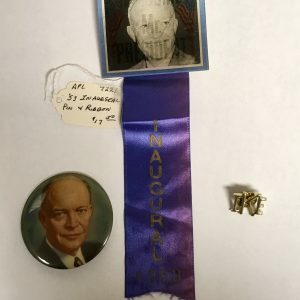 He constantly worked to improve the national park system and protected more than one hundred million acres of Alaskan land. 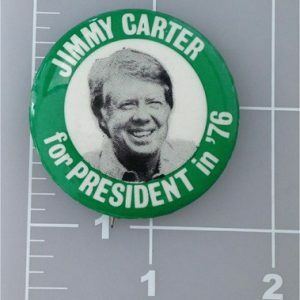 Carter had his own foreign affairs style and some of his achievements include bringing amity between Israel and Egypt and established full diplomatic relations with the People’s Republic of China. 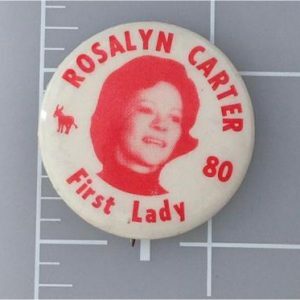 During Carters final fourteen months in office hostages were seized from the US embassy staff in Iran. 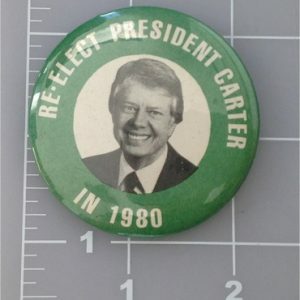 Carter worked diligently to free the hostages and they were finally released on his last day in office.